Working on residential building opportunities is nice and all – but the big money is commercial contracting. If you have your sights set on building high-rises and large developments, you need to first focus on building the relationships that will provide these opportunities. Such connections often begin with targeted advertising. Commercial contractor advertising is what introduces you to the people you’d like to work with in the future. Your campaigns will tell developers in your area who you are and what you do. They set the stage for you to make direct contact and see what kind of work your connections can lead to. Here’s a quick guide on how to make your company stand out against other contractors. Commercial construction advertising begins like any other kind of marketing does – with research. It’s one thing to say you’d like to be building hotels and hospitals in your region. But, it’s another to know who the people behind these projects are and to make them interested in you. That’s the real goal of your advertising efforts. You’re not trying to land a big deal right away; rather, you’re aiming to get a seat at the table where the discussions about big projects happen. To get your foot in the door, you need to know what kind of development is happening in your area. Make a few informed projections about what kind of commercial opportunities will soon be available to you. Do you foresee the need for more office buildings or government structures? Is there talk of building a sports complex or arena in your town? Answer these questions and you’ll have a clear direction set in identifying the most viable commercial building opportunities for you to target with your campaigns. Once you know which developers your campaigns are going to target, you have to get their attention. One of the best ways to do this is by expressing how experienced and knowledgeable you are about commerical construction. Put simply, you need to start a blog. Blogging tells potential business partners that you seriously know what you’re doing. It gives you a platform to talk about all the ins and outs of the work you do. You can write blogs about topics ranging from setting a good foundation for employee safety and industry regulations. You can also write guest blogs on industry sites. 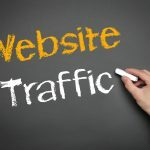 These may contribute to the traffic you get on your website, but more importantly, they expand your audience. They can help you reach more developers in places beyond your local area. Not only does blogging tell people how much of an experienced construction company you are, but it also helps them find you in the first place! The more you blog, the more content Google has to crawl. This increases your likelihood of coming up on the first page of SERPs whenever local developers input a relevant question. 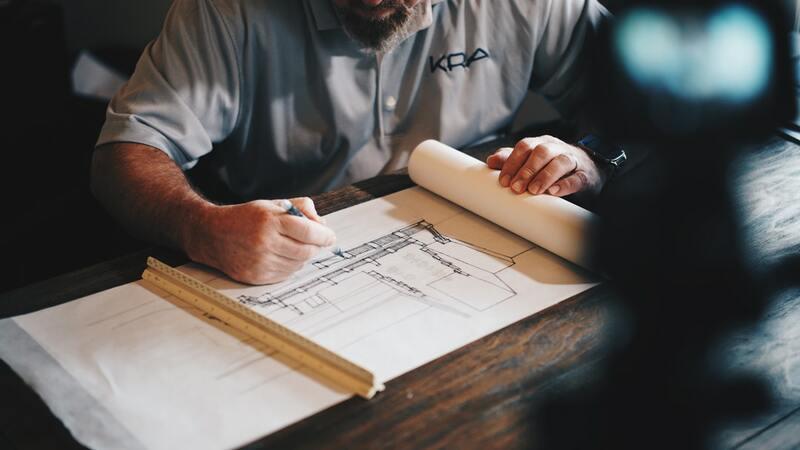 It makes it easy for people who are in need of commercial construction support to find exactly what they’re looking for. But, you have to focus on more than just your rank and page visits. You need to hone in on leads and conversions. Leads are what allow you to make direct connections with developers who need construction work. Conversions are the best way to track the ROI you’re getting from all your advertising efforts. Another way to enhance your commercial advertising strategy is to get previous clients involved. Ask them to write reviews about your work on Google My Business and on your social media pages. This will enhance your online reputation and contribute to your search performance, too. Improving your brand’s reputation makes it easier for potential partners to trust you. It makes you more approachable and adds to the level of authority you’re trying to create. From the organic search perspective, user-generated content helps you rank higher on SERPs. This content gets crawled by Google bots just as the content you publish does. It’s used to rank your landing pages and match you to client inquiries. Whether you’re putting your focus on construction blogging or you’re more interested in commercial advertising tools like email and social media, you need to put a big emphasis on data. Analyzing users’ response to your campaigns is the only way to determine if you’re on the right track. Just as you have to put a lot of work into the content you create and how you distribute it, you also have to see if it’s on-target. Notice how much time users are spending on each of your landing pages. See how many bounce rates you have this month and compare the number of leads you have now as opposed to a few weeks ago. At the end of the day, commercial contractor advertising comes down to one thing: content. Your content needs to be relevant, informative, and engaging. It needs to reflect your industry experience and start creating the conversion with developers. This is the most important aspect of all your advertising tools. 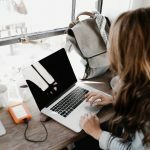 No matter if you’re writing a blog, creating an email campaign, or posting a social media caption, the content you publish needs to be well-written and thought out. If you need help with your content strategy, you’ve come to the right place. Click here to learn more about writing amazing content.